East Grampians Health Service incredible volunteer base is spread across a wide area of the health service and they devote countless hours particularly at the Patricia Hinchey Centre, 70 Lowe Street and Garden View Court Hostel in Ararat and in Willaura at Parkland House, the Nursing Home and the Day Centre. Volunteers also help out in Ararat in the Inpatient Unit, the Oncology Unit, the Toy Library and the Centre of Community Health. 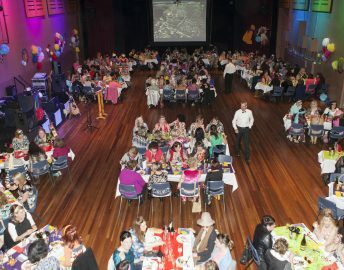 The health service also acknowledges the exceptional work the five auxiliaries contribute and their tireless efforts in continually fundraising for the purchase and replacement of vital equipment at both Ararat and Willaura. 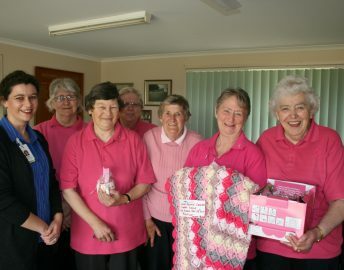 Their ongoing generosity, in conjunction with many community supporters has enabled the health service to have available the best facilities and equipment for the community. 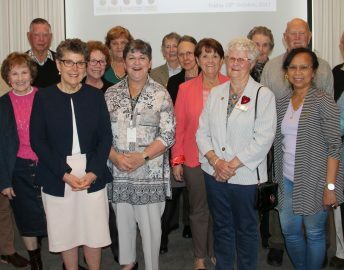 In all, some 150 loyal volunteers assist East Grampians Health Service regularly in some way and contribute so much to the life of the health service. Their contribution to the many areas play a significant role in providing entertainment, understanding, special skills, a sense of humour and friendship for patients, clients, residents and staff. 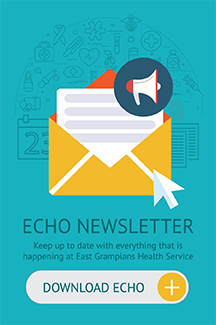 East Grampians Health Service is continually welcoming new volunteers from the community to help grow our volunteer list. To become a volunteer at East Grampians Health Service requires no particular skills to get involved and there is flexibility of times and days to suit, either on weekdays or weekends. It is a great opportunity for any retirees or people in the community who may have a little time to spare. Interested volunteers will be required to attend a short orientation session and have a police check done prior to commencing.